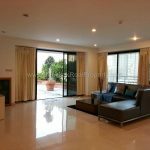 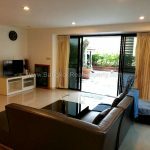 A superb, bright and recently fully renovated 2 bedroom, 2 bathroom condo at Saranjai Mansion in the heart of Sukhumvit’s Nana district. 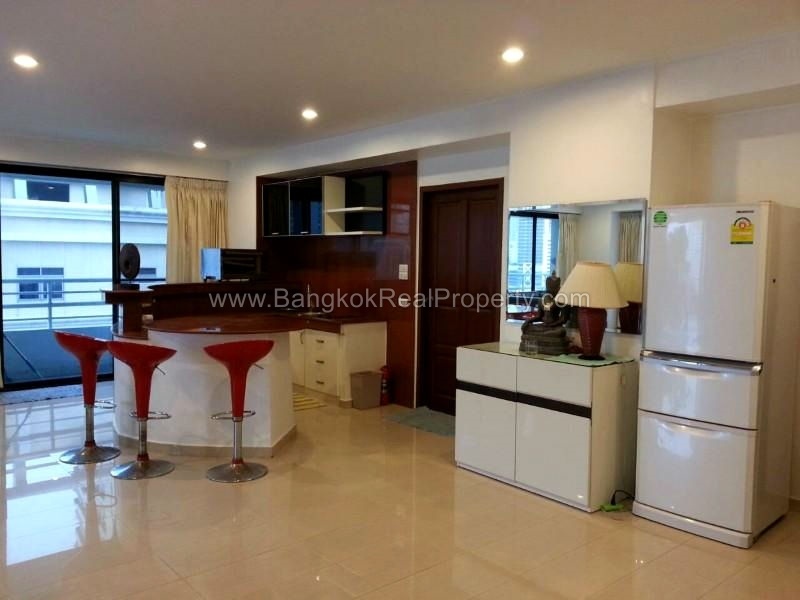 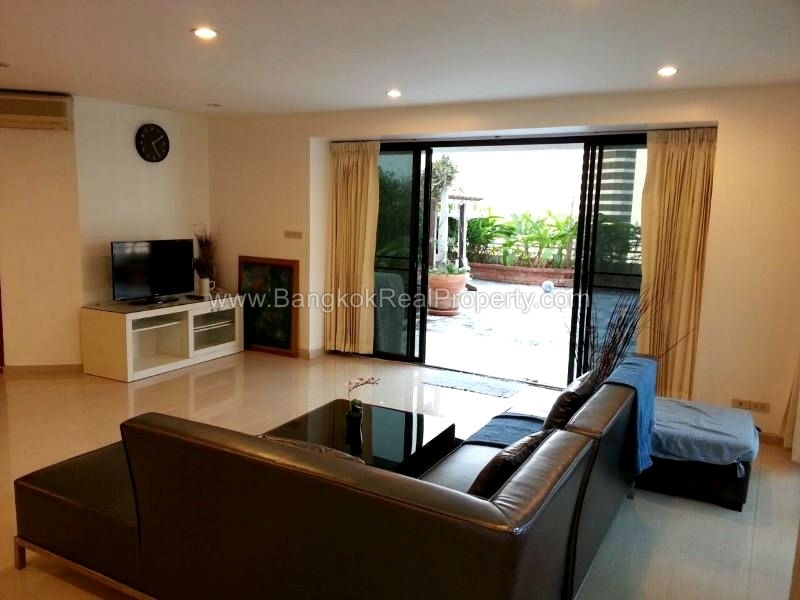 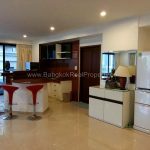 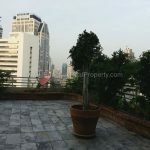 Conveniently located on Sukhumvit Soi 6, this older yet popular high rise condo is located just 10 minutes walk from Nana BTS and easy reach of Terminal 21 at Asoke. 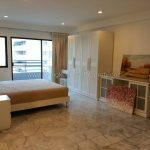 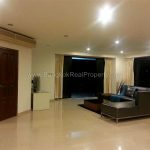 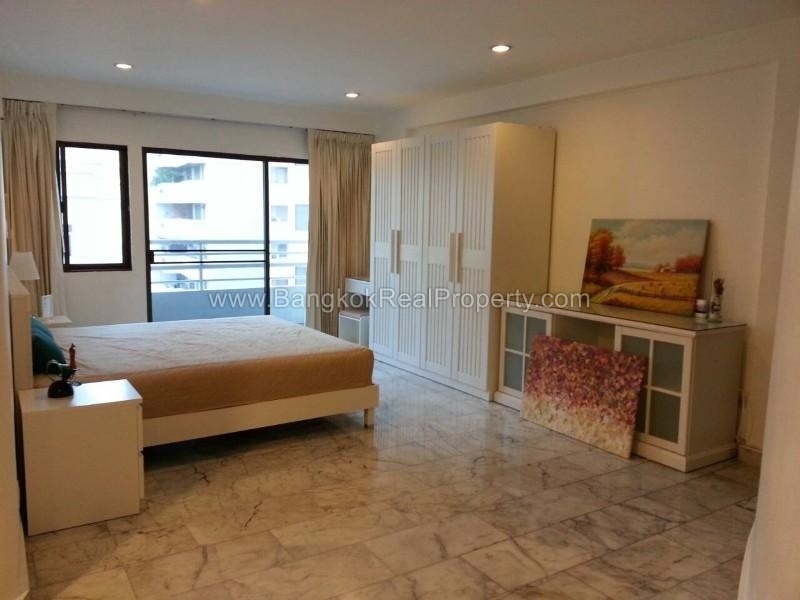 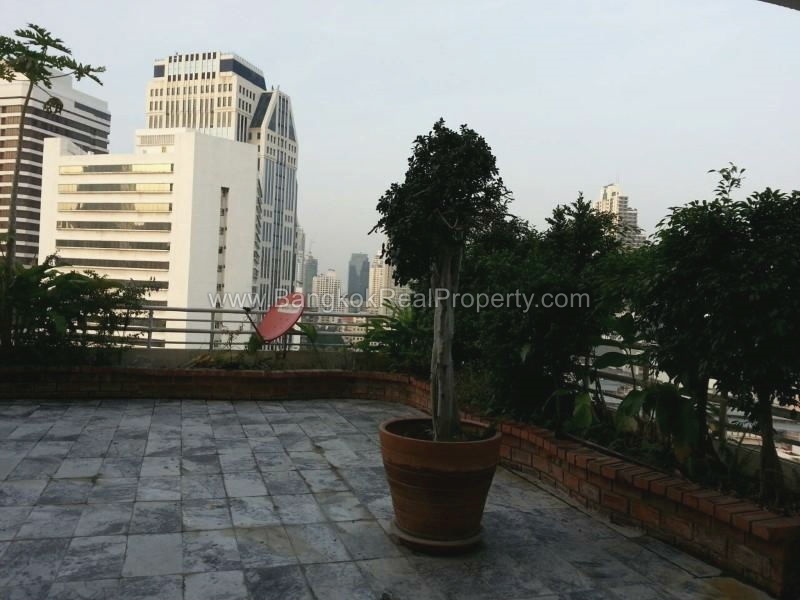 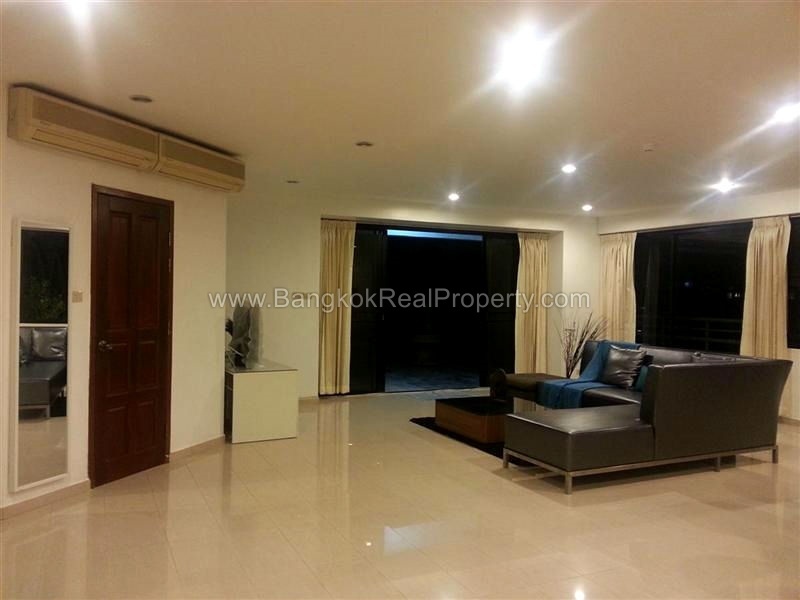 Situated high in the building on a high floor of Saranjai Mansion, this 141 sq.m condo has marble floors through out, a spacious open plan living / dining and kitchen area with a totally private 80 sq.m roof terrace with stunning city views over Sukhumvit’s sky line. 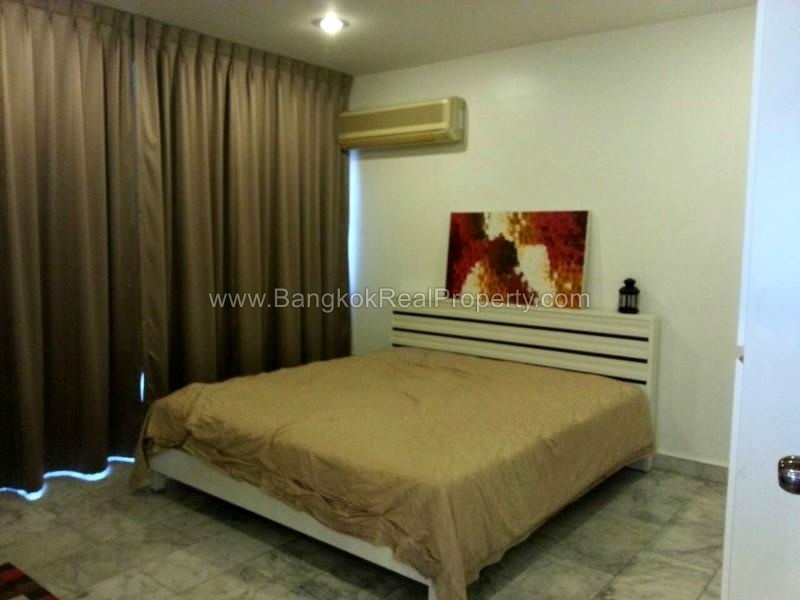 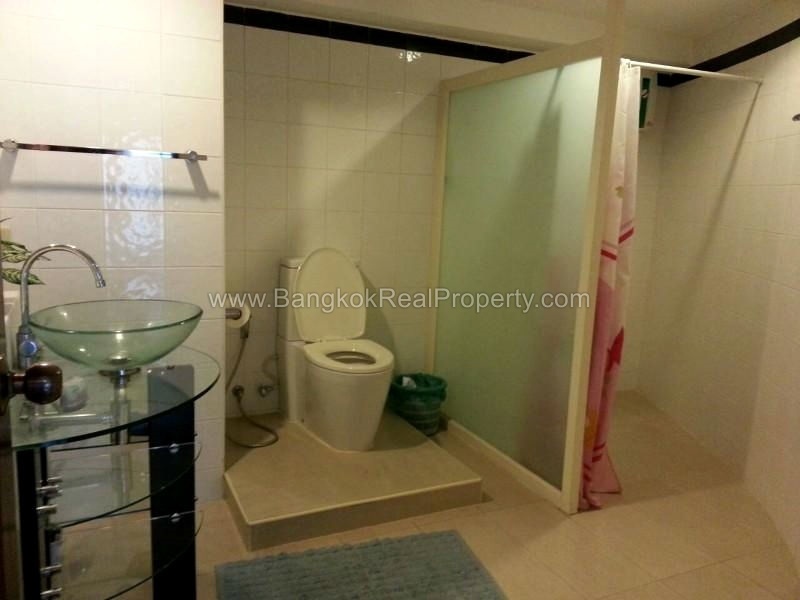 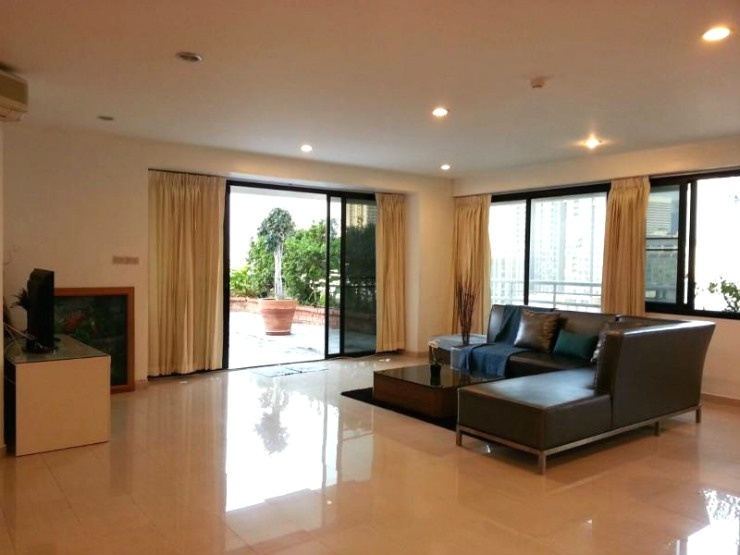 The 2 bedrooms are both doubles, the master having a balcony and ensuite bathroom. 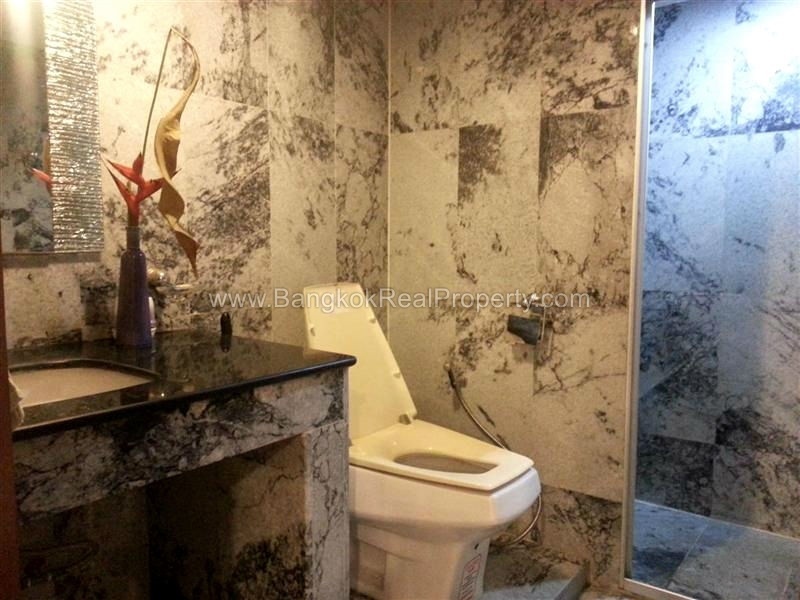 The main bathroom with shower is clad in marble. 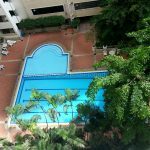 Saranjai Mansion has full condo facilities including a large swimming pool, gym & fitness centre, sauna, restaurant, convenience shop and children’s play ground. 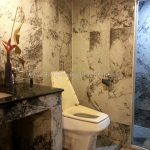 Its location is ideal for downtown living. 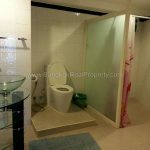 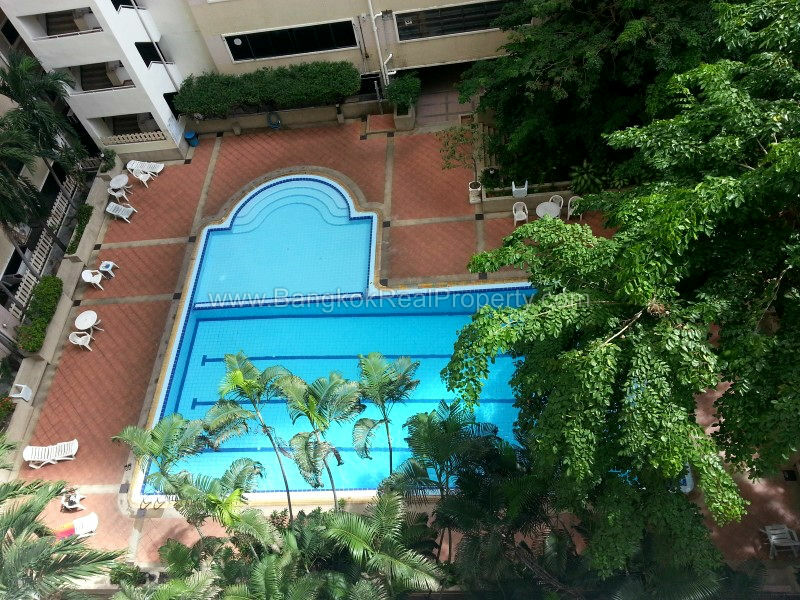 Saranjai Mansion is a condominium project, located on Sukhumvit's Nana district just 10 mins walk from Nana BTS. 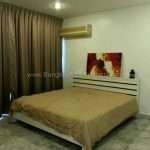 Construction of Saranjai Mansion was completed in 1992 and the project consists of a single building of 23 floors with a total of 480 units a mix of studio, 1 bedroom, 2 bedroom and 3 bedroom units.